This recipe from Taste of Home was quick and delicious. We even gave in to the kids requests and let them have the leftovers for lunch the next day where they were the envy of the cafeteria. I made a pie crust from scratch rather than use the canned crescent rolls–doesn’t take that long. We also upped the spinach and pepperoni a bit. Definitely a keeper! Add the ice water--add about 6Tbs at first and then mix and add more as needed to form a nice dough. In a skillet, sauté the red pepper in oil until tender. Stir in red pepper mixture. Bake at 375° for 25-30 minutes or until a knife inserted near the center comes out clean. 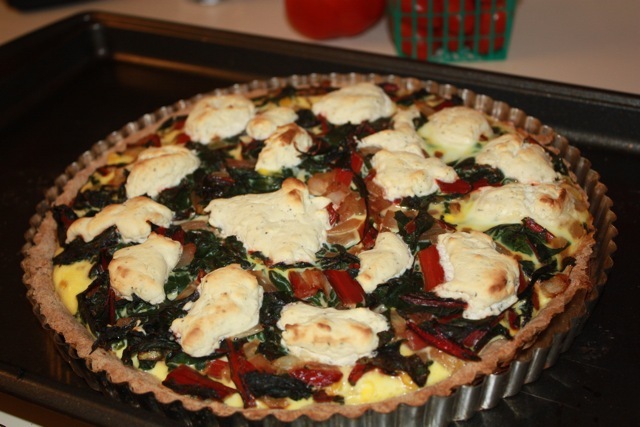 We used the Olive oil tart crust from Chocolate and Zucchini. Which turned out a but tough…I may not have rolled it thin enough? 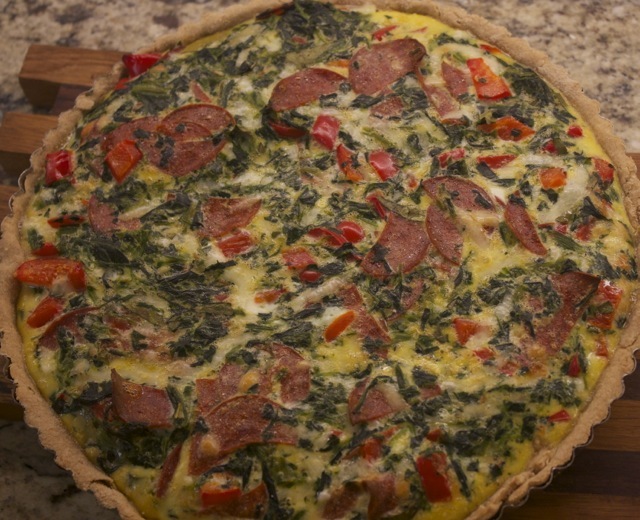 But was still a nice base for the tart. 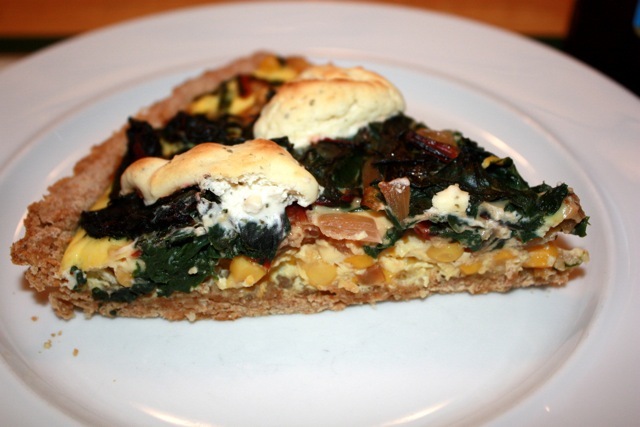 The rest of the Swiss chard and corn tart was basically from the original post, except we topped it with Rondelé rather than the goat cheese. 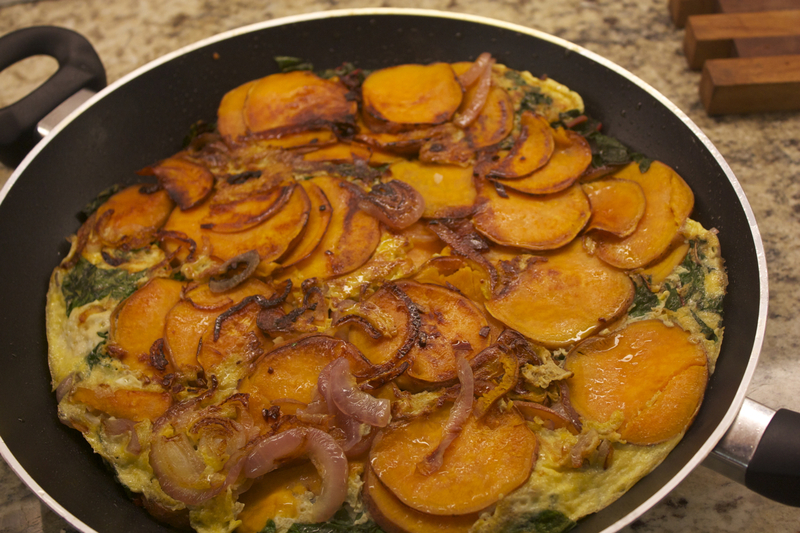 Overall a fairly easy and healthy meal that all enjoyed!